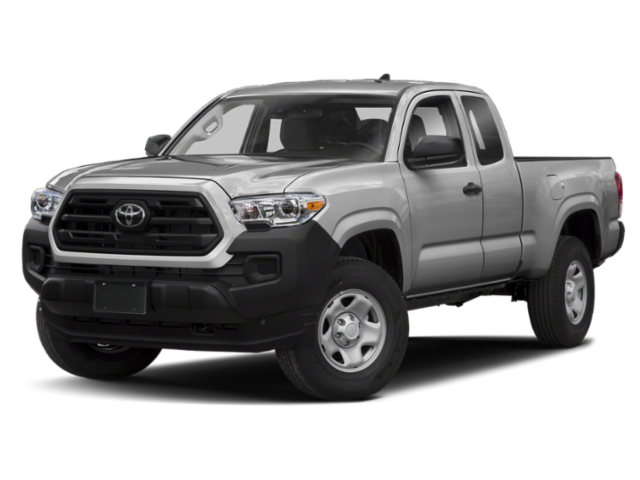 2019 Toyota Tacoma for sale at Jackson's Toyota! Amazing condition, at a great price! Hill-start Assist Control (HAC), 4WD Part Time, One-Touch 4WD, Vehicle Stability Control (VSC), Traction Control System (TRAC), Auto Limited Slip Rear Differential, Automatic Disconnecting Differential, 2-Speed Transfer Case, Engine Undercover, 6-Speed, Automatic, Leather Wrapped Steering Wheel, 16" Aluminium Alloy Wheels, Air Conditioning , Rear Seat Heater Ducts, Air Conditioning , Rear Seat Heater Ducts Audio: Integrated SiriusXM Satellite Radio , Deluxe, Bluetooth Capability, Front Tow Hook, Lane Departure Alert , Auto High Beam, PreCollision System with Pedestrian Detection, Dynamic Radar Cruise Control (high speed), Toyota Roadside Assistance Included 3 Years or 60,000 km Full Tank of Gas Included. Family Owned and Operated since 1969. Largest Toyota Dealer and best selection of vehicles in Central Ontario. This White Beauty is a 4X4, with Manual Steering and powered by a 2.7L/4 cylinder engine. You can finance your 2019 Toyota Tacoma now! You can easily fill-out a credit request on this 2019 Toyota Tacoma and be pre-approved within 20 minutes! Start now.... 100% Approved, 100% guaranteed!